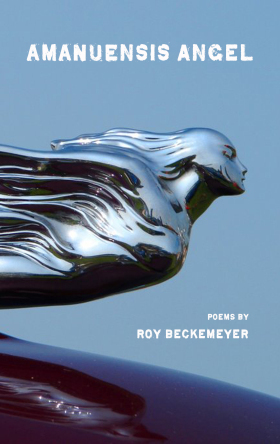 Roy Beckemeyer is one of those people who makes you feel comfortable in his presence. 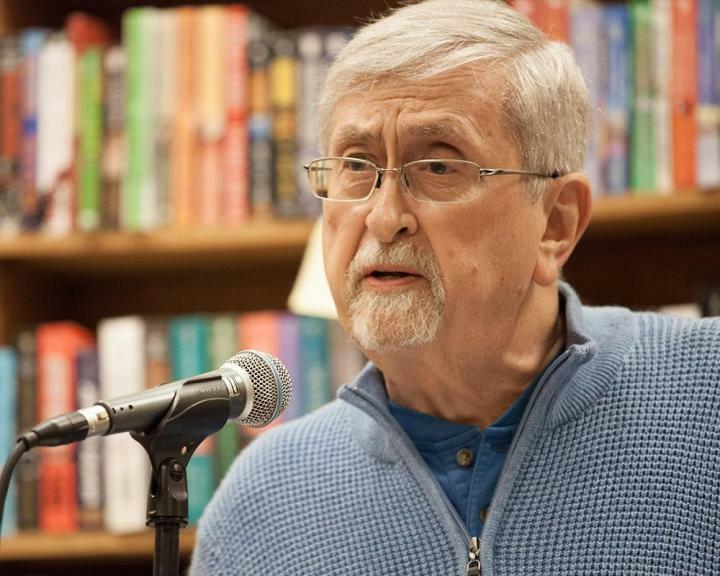 He’s a poet, a retired aerospace engineer, a man who loves the arts. He wields an incredible vocabulary. He’s a kind human being, a gentleman. He’s been Poet of the Year in the Kansas Authors Club writing contests. And he’s a Kansas Notable Book Award winner (2015). His interview below, my friends, is why I love doing this Written in Kansas series. We writers each come to the keyboard with unique backgrounds. We each process the world in different ways and our individual writing reflects and celebrates that uniqueness. Here, Roy shows us how he puts left brain and right brain together, how he translates his world into words. 1) You’re a man of many talents, skills and interests. 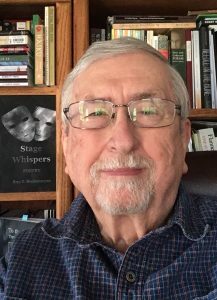 In addition to the three books of poetry you’ve published since 2014, you’ve had a career as an aerospace engineer, you’ve studied and written about Paleozoic insect fossils, and, along with your wife of 57 years, you’ve recently taken up painting. As any writer knows, we bring all of our experiences with us to the keyboard. Is there any one facet of your life that presents itself most often in your poetry? Do you have a favorite topic to write about? Thanks for those kind words, Cheryl. I was fortunate to have been born with an “enquiring mind” that finds almost everything interesting and with a burning desire to try to understand as much as I can about the world around me. I somehow inherited a natural inquisitiveness. As to what I bring to my writing, I suppose it is that smorgasbord of interests and history of reading and enquiry – going on 70 years of it now. One way that wide-ranging background influences my work is that it is somewhat eclectic and wide in scope. A reviewer of my first poetry book said “Whilst the poems are elegantly written by a poet aware of the sounds and rhythm as well as the meanings of the words, they felt over-polished and in some cases as if the poet was searching for a subject rather than poems that had an urgency to be written.” I find that all my poems have that urgency, although it may not appear so to the casual reader of my work because I tend to write about all sorts of subjects. Of course, being left-brained, I have looked at what I write poetry about and even done an Excel spreadsheet analysis (Go ahead and laugh or harrumph, right-brainers). 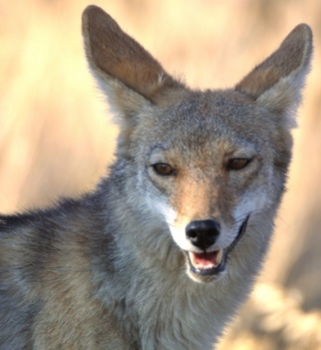 I lumped my poems into four broad categories: 1) Love, family, memories, sense of place, 2) Philosophy, religion, “big ideas,” 3) Poetry, language, music, art, and 4) Nature, animals, things. With the precaution that some poems could considered to fall into more than one category, I put them only into the one that seemed to be most appropriate. I then looked at the progression of my writing from my first book through my third to the partially-completed manuscript for my next book (about halfway to completion) to the poems I have written thus far in 2019 (I have been writing a poem a day since January 1, 2019). My second book, Amanuensis Angel (44 poems), is something of an anomaly in this sequence because by its focused and narrow nature (as a set of ekphrastic poems inspired by modern artists’ depictions of angels) it is exclusively comprised of poems in categories 2 (60%) and 3 (40%). In total (looking at the sum of all 309 of those poems), 30% of have fallen in category 1 and 30% in category 2, so find that I concentrate on poems about my family, memory, and place as well as poems waxing philosophical; the other two of the categories are 20% each, so overall, pretty evenly divided in subject area. 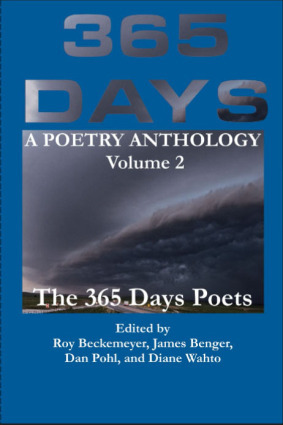 But there is a significant change in trend with time: In Music I Once Could Dance To (55 poems), my first book, category 1 accounted for 55% of the poems. 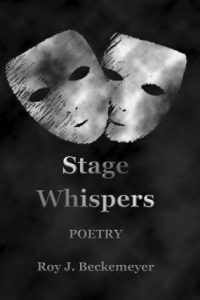 In Stage Whispers, my third book (83 poems), the category was still the largest, but down to 45%. In my manuscript in progress (51 poems) and in the poems I have written in 2019 (76 poems), this category accounts for about 30% of my poetic output. So while category 1 still accounts for much of my work, the proportion is trending down from half to a third. Within category 1, I especially enjoy writing love poems to my wife (I began writing love poetry to her in high school when she was my high school sweetheart); particularly poems that don’t have the word love in them at all. I also like poems that reflect on my memories of family and sense of place and how both have shaped me and my outlook on life. Then there are the word portraits of people from my past; they are fun to write and always somewhat surprising to me as I think back on people who have touched me in ways I don’t always understand until I begin to approach my remembrance of them in a poem. Category 2 (Philosophy, religion) accounted for 25% of the poems in my first book, 30% on average over all the poems, so fairly consistent. This may have something to do with growing up Roman Catholic and attending parochial schools through 12 years, and from attending St. Louis University, a Jesuit college, and getting a minor in philosophy along with my major in engineering. Categories 3 (Poetry, language, etc.) and 4 (Nature etc.) comprised 10% each of the poems in Music. So, with categories 3 and 4 at 20% each for my overall poetic output, my poetry is becoming more uniformly distributed by category as time goes on. That may have something to do with my age. As I approach my 80th birthday (just a few years off) I am becoming more philosophical, more interested in the abstract and the world at large. I love to do ekphrastic poetry – respond to visual art or music with words. I also find myself increasingly inspired by the words of others, and many of my poems are written in response to a line or two from someone else’s poetry. I have been more interested in word play the past few years, and in improving the texture of the language and syntax in my poems. Many of my poems have epigraphs that quote the lines that inspired them. 2) Does your engineering background play a role in your poetry? To me, your poetry has an unmatched precision. Every word is exact. Every word carries its weight. Is that part of your engineering instinct? My engineering and scientific background is certainly evident in my work. A lot of the vocabulary I use comes from those fields and some precision comes naturally from that background. I do attribute that characteristic in part to science but also to my love of language. I have always enjoyed paging through dictionaries and finding new words or new usages of words and incorporating them in my writing. I think some of my interest in lexicon and vocabulary also comes from the era of background music I heard growing up. In the 40’s and 50’s a lot of music was from the “Great American Songbook” with lyrics by some of the greatest lyricists who have ever practiced in English. Like Oscar Hammerstein II (“You are the promised kiss of springtime that makes the lonely winter seem long. You are the breathless hush of evening that trembles on the brink of a lovely song.” – from “All the Things You Are” – music by Jerome Kern), and Irving Berlin (“It’s not the note I sent you that you quickly burned. It’s not the book I lent you that you never returned.” – from “Be Careful, It’s My Heart”). And Cole Porter (“When you’re near there’s such an air of spring about it. I can hear a lark somewhere begin to sing about it; there’s no love song finer. But how strange the change from major to minor every time we say goodbye.”), not to mention Arthur Herzog Jr. and Billie Holiday (“Them that’s got shall get, them that’s not shall lose, so the Bible said, and it still is news.” – from “God Bless the Child.”). And then the story telling of Lorenz Hart (“If they asked me I could write a book, about the way you walk and whisper and look…and the simple secret of the plot is just to tell them that I love you a lot, then the world discovers as my book ends, how to make two lovers of friends.” – from “I Could Write a Book,” or “The sleepless nights, the daily fights, the quick toboggan when you reach the heights; I miss the kisses and I miss the bites…The pulled out fur of cat and cur, the fine mis-mating of a him and her, I’ve learned my lesson but I wish I were in love again!” – from “I Wish I Were in Love Again,” both with music by Richard Rogers). 3) Is there any one ingredient that you generally start with when writing a poem? Do you like to riff off of a word or a phrase? An image? A painting? What excites you most about starting a poem? What makes you want to put words on the page? Like most engineers, I tend to be strongly visual in my approach to the world. I can envision things in three dimensions, see how they fit together. I see patterns and intimations of the laws of nature at work in the world. That is also why I like to take photographs and draw and paint. So strong images often inspire a poem. The way the moon or planets align in the sky, the way clouds move, a mass of colors in spring or fall, the chaos of a tangle of winter leaves and grass, the contrast between man-made and natural forms have each inspired a poem or two. I respond to paintings and sculpture as well, as they have benefited from the artist already having extracted what they saw as strong and forceful elements of a scene, so they tend to trigger equally vivid word pictures. I also am almost physically impacted by well-constructed images or metaphors written on a page; a line or stanza or even a specific word will often stop me in the middle of reading a poem or story and set me to writing. It is always a bit of an adventure to see where those words will take me; seldom do I have any idea as to how I am going to proceed, but having the quote laid out on the page often results in an avalanche of words of my own. I am almost always surprised by where the current, the slope takes me. So that exciting and unpredictable trip, that journey of setting off on an excursion of language is probably what keeps me at the task of writing. 4) You’ve worked on, or played around with, most forms and styles of poetry, from haiku to sonnets. You seem up for any challenge. Do you think we can look at poetry in a fun way – such as an equation to be solved, a jigsaw puzzle to put together? I I do love the challenge of form poetry. I attribute my love of poetry to those early elementary school days and the strong, insistent rhythm and rhyme of the poems of Poe and Coleridge and Blake that infused me with a love for the English language. I read a lot of science fiction and one of my favorite writers was Ray Bradbury, who had that lyrical, romantic approach to writing (and some of his best novels were based on characters growing up in Illinois, so I felt a real affinity for them). And there is an element of fun and problem solving there, too: looking for that unique set of words and syntax that will make a poem a delight to read, a sequence of language that will roll off the tongue and make you wrap your mouth around its words in a way that makes you smile as you read. 5) What’s the satisfaction that you get from writing? Is it something that can be explained? I think it is akin to reading. You wade through a lot of good but not always spectacular reading, coming across occasional gems. You write for the same reason. It is a treasure hunt of the mind, putting together words that you hope will make someone, some reader somewhere, stop and pause, back up, re-read them, perhaps jot them down in a notebook, because they bring to mind a memory or a vision or a thought or emotion that they want to pin onto their mind the way a butterfly collector will pin a spectacular specimen into a box. Constructing a well-written poem is sort of like designing and building an exquisite little bridge or a model airplane or an inviting landscape painting; you have invented something of beauty that did not exist in the world before. 6) Which poets do you turn to for pleasure reading or for inspiration? Oh, there are a lot of them. I still go back to Robert Frost. I have an affection for Gerard Manly Hopkins, Yeats, Auden, Dickinson, Edna St. Vincent Millay. I still love regional prairie poets like William Stafford, Ted Kooser, Robert Bly, Dave Etter. I have been reading a lot of B. H. Fairchild lately. Galway Kinnell is near the top of my list. Linda Pastan, Lisel Mueller, Albert Goldbarth, Barbara Hamby. Ginger Murchison, Gabrielle Calvocoressi. A lot more that I have not mentioned, including a bunch of current poet friends from the Midwest and across the country, many of whom I know from social media or from having met them in person. Here are some poets whose work appears as epigraphs that inspired poems I wrote since the first of this year: William Stafford, Melvin Litton, Paul Bowers, Al Ortolani, Stephen Johnson, Michael Cissell, Denise Low, Lori Brack, Linda Pastan, Ron Wallace, Laura Madeline Wiseman, Mary Oliver, Bruce Cutler, James Hearst, Ted Kooser, Boyd Bauman, Pat Daneman, Jonathan Holden, Dave Etter, Albert Goldbarth, Barbara Hamby, A. E. Stallings, Pablo Neruda, Robert Frost, B. H. Fairchild, Galway Kinnell, Vassar Miller. 7) What do you want to write that you haven’t yet tackled? I would like to try my hand at writing plays. I have dabbled at this but want to complete one. I have been toying with memoirs and plan to finally put one together; there are some nefarious narratives to be told about my family’s history. I have written a few haibun and would like to build a collection of them. I consider Al Ortolani a master of the form – see his book, On the Chicopee Spur (NYQ Books, 2018). 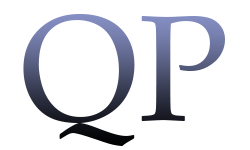 One of the best venues for haibun is KYSO Flash, an online journal of poetry and short prose. 8) You’ve been very active in the Kansas Authors Club, including being a past statewide president. For you, what has the best part of participating in KAC? It is so rewarding to go to a KAC meeting or conference and see fellow writers struggling, succeeding, getting out there and putting words on paper. There is a real sense of camaraderie and family and history and tradition in the organization. I particularly love to see the youth writers come and read their work; you come away from hearing them feeling so much more hopeful about the future of literacy, reading, and writing! I have found that you get out of an organization like KAC in return for what you give to the organization. “Give and you shall receive.” The more involved you become the more folks you get to know and the more you grow as a writer. 9) You belong to various writing groups that meet in the Wichita area. How can a critique group help a writer? Writing and critique groups are important to me. Belonging to a writing group that meets regularly helps to bolster your confidence and tends to keep you at your craft to avoid letting the others down. Critique groups keep you from deceiving yourself. It is so helpful to have others tell you what they see, how they read your work. It is easy to lead yourself astray because you know what you mean to convey, and read it into what you have written, even though it may not be apparent to the reader. Critique group partners can lift the blindfold from your eyes. Even if you are especially vulnerable to criticism, you can structure a critique group’s ground rules to avoid destroying your self-confidence (begin by limiting comments to only what they like about your poem; loosen the constraints as you feel more secure). Also, read your poem aloud to the group. Often, they will get a different appreciation for it once they have heard you read it than they had when they first read it. That information may give you reason to revise the way your poem appears on the page so that readers who don’t get to hear you recite your poetry will better understand what you are trying to say. 10) What advice would you give to a beginning writer? First off, be well-read in the genre you wish to pursue. Know the forms, the approaches, the basics. Read widely. Know your taste. Figure out why you like the books you like, why you don’t like the ones you don’t. Make notes. Why does one author’s approach to dialogue work? Why does another’s not work? Again, read widely; read often. Then write. Ask others to read what you have written. Ask for critiques. Learn basic grammar. Learn to spell. Ask someone you respect to edit your work. Ask them what works, what doesn’t. Rewrite. Read more. Attend conferences. Take lessons and classes. Join writing groups. Enter contests. Send your short work out to publications. When you are rejected, read and revise and rewrite and resubmit. It takes work and persistence and help from others. Write consistently. Write even when you are in a slump or are having a bad run of writers’ “block.” If you feel uninspired, just write in a journal and describe everything that happened yesterday. Keep writing. Your muse will eventually return. 11) What have we missed? What else would you like writers and readers to know about you and/or your work? A final plea: Support your fellow writers, your local and regional independent bookstores, your local library. Buy your reading material locally. Go to readings. Put at least a part of your reading material budget into local and regional authors. Support your local literacy programs. Join a local writer’s group, a local reader’s group. Review the books you read. Rate them. Post the reviews and ratings. Follow authors on Goodreads. 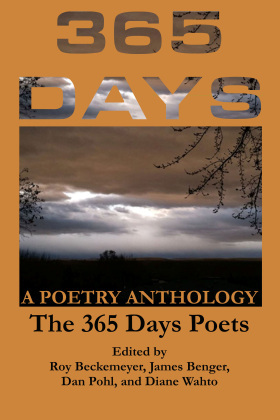 Follow authors and poets on Facebook. Spread the word when you find a book or poem or short story you love. Thank an author for writing something you love. Thank a reader for reading your work. Read. Write. Be happy. 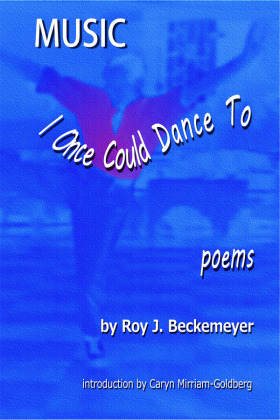 Purchase Roy’s books at your local independent bookseller. In Emporia, Kansas, we shop at Ellen Plumb’s City Bookstore, 1122 Commercial, Emporia, Kansas. Roy Beckemeyer’s books can be ordered online from Ellen Plumb’s. 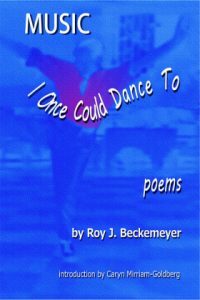 Learn more about Roy and his books on his website. Music I Once Could Dance To, Coal City Press (2014) which was a Kansas Notable Book in 2015. 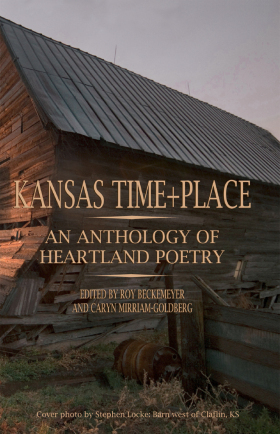 Roy co-edited Kansas Time+Place: An Anthology of Heartland Poetry, 2017, Little Balkans Press, with Caryn Mirriam-Goldberg.